London dance-pop duo Formation unveil interactive new video for ‘DRUGS’. Setting cutting social commentary to a genre-clash of sounds linked by grooves, loops and insistent percussion, Formation have already been nominated for Best New Artist at theNME Awards and earned the backing of Zane Lowe. As they complete a summer crammed with killer festivals sets – Glastonbury, Field Day, Lovebox and SecretGarden Party, to name just a few – Formation today launch their new track ‘Drugs’. Produced by Leon Vynehall and Ben Baptie, ‘Drugs’ bursts with anarchic spirit as grinding bass, flashes of synths and clattering percussion all support Will Ritson’sassertive vocal delivery. Formation – Will and his twin brother Matt – have also made a striking homemade interactive video to accompany the track. Opening with an invitation for the viewer to ‘CLICK HERE FOR DRUGS’, each subsequent click rotates through a succession of stark and often confrontational imagery which puts a subversive spin on the usual expectations of a music video. Formation’s live band also features Johnny Tams (bass), Sasha Lewis (keys) and KaiAkinde-Hummel (drums). After supporting Faithless at the O2 Academy Brixton last night and a host of summer festival appearances including Glastonbury, Field Day andWay Out West, Formation are now set to play the following shows listed below. Ever since Norwegian mystery man Gundelach debuted in late 2015 with his single ‘Spiders’, he has quietly been making waves. In the Nordics it was a radio hit and landed him festival slots on some of this coming summer’s biggest stages like Øya, Roskilde and more. Internationally, it was #1 on Hype Machine, picked by Pharrell for his Beats1 show and garnered millions of streams. After a recent performance at Sentrum Scene in Oslo, playing to 1700 people, and his London debut as a headliner for Ja Ja Ja, his new single ‘Fjernsynet’ (Norwegian for “television set”) is poised to lift him to new heights with its cooly delivered falsetto over a driving rhythm, accentuated by beautiful analog-electronic production. It is a broody, melancholic and catchy anthem for driving late at night and is at the centre piece of his forthcoming debut EP “Spiders”, which is scheduled for release this Friday, 13th May via Cosmos (Say Lou Lou, Naomi Pilgrim). And now the single comes with new remixes, raising the bar even higher, with UK production duo Formation injecting their fresh upbeat sound into the original and Barcelona based Fur Coat taking it into deep, melodic house territory. The EP is co-produced by Joel Ford (of Ford & Lopatin and Young Ejecta, who has also produced the likes of Autre Ne Veut, Oneohtrix Point Never and featured on Cyril Hahn and Com Truise tracks). It is mixed by Al Carson (who has worked with Ariel Pink, Tim Hecker, etc). ‘Spiders’ EP will be released this Friday 13th May. You can pre-order here. South London twin brother duo of Matt and Will Ritson, Formation, unveiled the official video for their new single “Pleasure”, roduced by Brighton’s house producer Leon Vynehall. Out now on Meno Records. 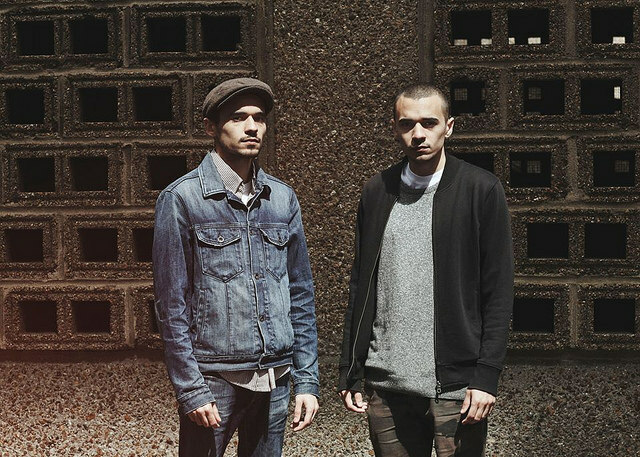 Having previously drawn comparisons with Liquid Liquid, Arthur Russell and LCD Soundsystem for their breakthrough tracks “Hangin” and “Young Ones”, south London disco-punk duo Formation (brothers Will and Matt Ritson) push their sound further with their expansive new EP ‘Under The Tracks’, which was released on November 20th on Meno Records. Now, you can watch the video for their single “Love”. The band recently released another single off the EP,”Control,” which is now streaming HERE. As with the rest of the Under The Tracks EP, “Control” is the result of Formation’s first collaboration with Brighton’s innovative house producer Leon Vynehall. The track strips Formation’s sound back to its inventive core with a jam-orientated groove which blends pulsating bass, cowbell-infused rhythms and Will’s insouciant vocal delivery. “Working with Leon Vynehall has added another layer of inspiration to what we’re doing, bouncing ideas off each other and working in a free and improvised way, laying down what feels good and always surprising each other,” says Matt Ritson. The band are currently working on their debut album set for release in 2016. Marathon Artists’ enigmatic new signing Elliott Power has been steadily gaining a foothold in the world of electronic music this past year, and now is ready to drop his deep and dramatic debut album “Once Smitten”, which brilliantly showcases his abilities as one of the best and brightest new talents on the musical landscape at present. Below you can stream the FORMATION remix of “Sword Souls”. “Once Smitten” is out Feb 26th on Marathon Artists / Mo’Wax. Having previously drawn comparisons with Liquid Liquid, Arthur Russell and LCD Soundsystem for their breakthrough tracks “Hangin” and “Young Ones”, south London disco-punk duo Formation (brothers Will and Matt Ritson) push their sound further with their expansive new EP Under The Tracks which will be released on November 20th on Meno Records. As the release approaches, the new track “Control” is now streaming HERE. As with the rest of the Under The Tracks EP, “Control” is the result of Formation’s first collaboration with Brighton’s innovative house producer Leon Vynehall. The track strips Formation’s sound back to its inventive core with a jam-orientated groove which blends pulsating bass, cowbell-infused rhythms and Will’s insouciant vocal delivery. Under The Tracks further consolidates Formation as one of the most exciting new talents to emerge this year. The EP has already been previewed by the lead track “All The Rest Is Noise”. Premiered by Zane Lowe as his “World Record” on BEATS 1, “All The Rest Is Noise” finds Formation harnessing their dual talents for insistent pop hooks and groove-based instrumental loops into their most immediately memorable moment to date. It carries the defiant message that you shouldn’t suffer alone, shouldn’t listen to those negative voices and shouldn’t put yourself down. The EP is completed by the title track, which drops the tempo as piano, cowbell and Will Ritson’s increasingly energized vocals flow together into a haze of rhythms, and “Love” which layers upwards into waves of new disco with a defiant lyrical message about social alienation and a call for love and solidarity between all people. Will and Matt Ritson started Formation in May 2013. Their first release, a now sold-out white label 12″, was issued in the summer of 2014 with close friend Jonny Tams on production duties. MENO Records subsequently jumped on board to issue their second EP Young Ones, followed up by the single “Hangin”. The band are currently working on their debut album set for release in 2016. Formation have continued to enthrall audiences with their energetic and infectious live performances. Highlights over the summer have included sets at Latitude, Bestival, The Great Escape, Field Day, Midi Festival and Calvi On The Rocks in Corsica. Formation (aka South London twin brother duo of Matt and Will Ritson) have shared the video for their catchy tune “All The Rest Is Noise”. The track is taken from the duo’s forthcoming four-track “Under The Tracks” EP. Out on November 20th on Meno Records. Pre-order it here. Video directed by Margarita Louca. 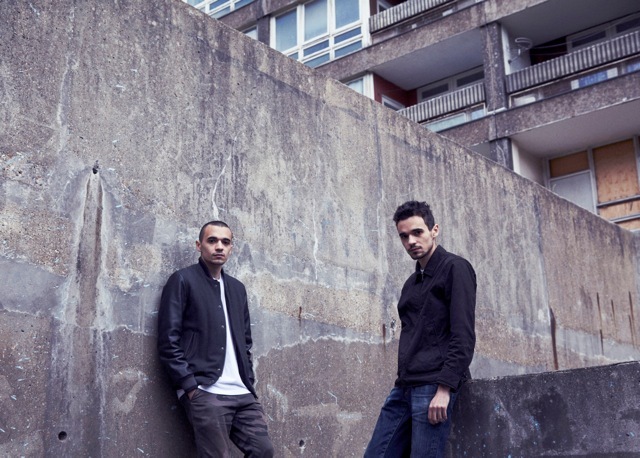 South London brotherly duo of Matt and Will Ritson aka Formation will release their new four-track “Under The Tracks” EP next month. Below, you can stream the first cut off the EP, “All The Rest Is Noise”. ‘Under The Tracks’ EP is out November 20th on Meno Records. Pre-order here. It’s not even halfway through 2015 and already Formation have emerged as one of the hottest new acts of the year. With their debut EP “Young Ones” the London duo consolidated the excitement surrounding them with an astonishing 4 song set of vigorous, percussive, liquid funk, genuflecting towards greats like ESG, Dinosaur L and LCD Soundsystem while also carving out its very own path through the modern landscape. Now comes new single “Hangin”, another storming belter of a track which showcases the Ritson brothers’ knack for an effortless hook and instantly infectious melody, welding elastic disco punk with rousing choruses to absolutely lethal effect. By turns restless, addictive and rambunctious, “Hangin” is an anthem in waiting that will only see the duo’s star climb even higher. Get in on ground zero now. Fresh from their incendiary debut live shows, extraordinarily tight and potent blasts of barely controlled energy which have included Big Weekend, The Great Escape and Midi Festival, the duo will head out for their first festival season starting with Field Day in London this Saturday. 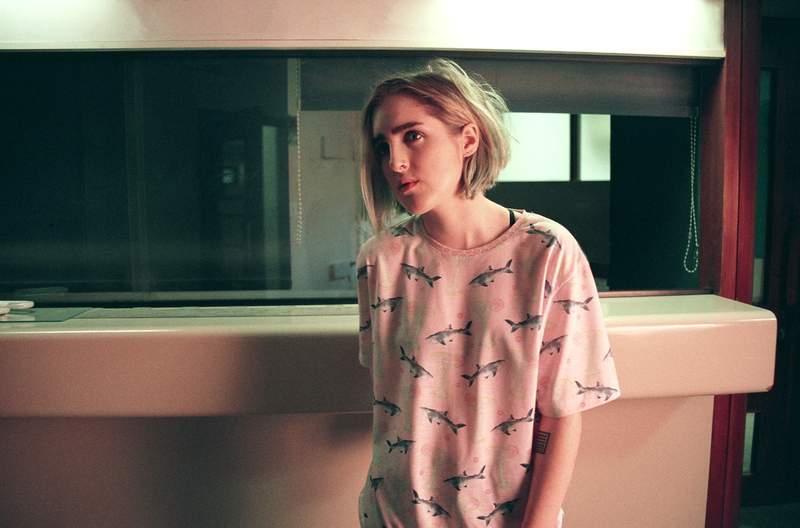 Shura has unveiled the first remix of ‘Indecision‘ by London duo Formation, as well as announcing details of her next London show. Following her live debut at Pitchfork Paris and a sell-out hometown show at Studio Spaces, a headline date at Village Underground is now on sale for March 25. ‘Indecision’ has already reached #1 on Hype Machine and picked up radio support across the likes of Radio 1 (Zane Lowe, Annie Mac, Huw Stephens, Fearne Cotton, Scott Mills), 1Xtra, 6Music and XFM. With sets at the likes of Iceland’s Airwaves festival, Amsterdam’s London Calling and Berlin’s Electronic Beats festival still to come – and fresh from signing an album deal with Polydor Records – a limited edition, white-label 12″ vinyl for ‘Indecision’ will be announced shortly, alongside further live, remix and video plans. 25th – Village Underground, London / TICKETS (on sale today).